From every side--the Internet, social media, interactions with friends, in both their public and private lives--teens are persuaded to follow the world's way over God's every day. Culture's mantra "live for today" has become the slogan of this generation! But, one thing remains true--mom and dad are still the greatest influence in the life of their child. Based on timeless biblical truths, Raising Successful Teens equips parents with positive, encouraging, and practical advice. A family and teen culture expert with more than 25 years of ministry experience, Jeffrey Dean gives parents the street-level approach they need to help their teens wisely and safely navigate technology, friendships, dating relationships, social media, and more. Parents will learn how to keep the lines of communication open and stay involved in their teens' lives. 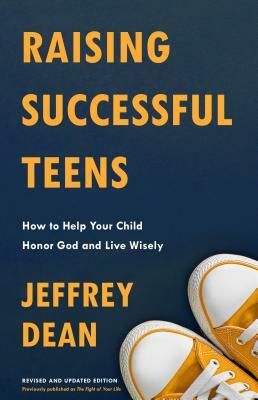 JEFFREY DEAN is a family and teen-culture expert, speaker, radio host, ordained pastor, and author. With over twenty-five years of ministry experience, Dean equips parents with the tools they need in order to be their teen's heros. He has had regular guest appearances on nationally syndicated radio shows, including Back to the Bible and the Hopeline, and has contributed pieces for Stand Firm Magazine, Horizon, Fusion, and The Brink.